Kenmore has been making household appliances for many years and is a trusted name in the industry. Millions of consumers have its washers, dryers, refrigerators, stoves, and dishwashers in their houses. 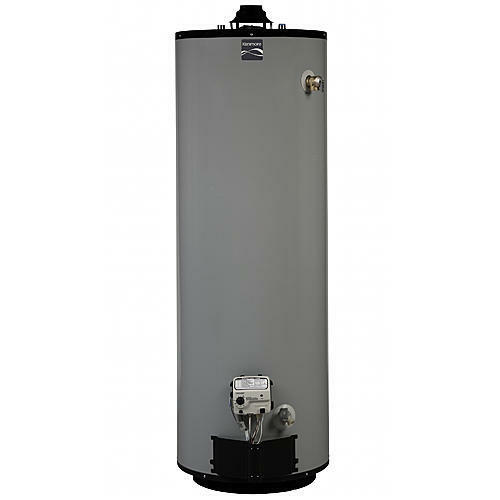 The company also makes many different water heaters with varying warranties and the capacity to fit a wide range of budgets. 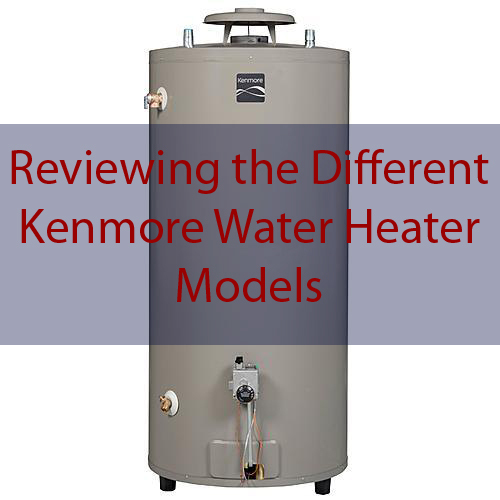 Here are the current models in the Kenmore water heater line up. ​Water heaters should be sized based on the number of people living in the house combined with the type of water usage. If your household uses more water than an average household of similar size, you will want to get a larger unit. However, you would not want to go below the specifications for your house even if you have fewer people living there. If you ever have to sell the house, prospective buyers may consider replacing a small water heater as a reason to not purchase your house. You will also pay more for a model that has a longer warranty. If you do not plan to own the house for more than a few years, you can go with the model that accommodates the number of people but with less of a warranty. If you plan on living in the house for an extended number of years, you should purchase the water heater with the longest warranty you can afford. The water heater salesperson or plumber who comes to your house will be able to help you decide which model is best for your needs. While capacity and price are important, the next most important number is the first-hour rating or FHR. This has been provided for all models in this review. This rating lets you know how much hot water the tank can replenish in an hour. Imagine everyone in your household needs to get ready for work or school at the same time; you will want a water heater that can replenish this supply quickly. While a large capacity tank will have the amount of water needed for all members of the household throughout the day, the FHR will ensure everyone gets a hot shower within that first hour in the morning. The most common type of water heaters run on natural gas. Kenmore makes most of its models in this design to accommodate the majority of households that use this model. The main difference between these models is the amount of water that they can store and the number of years that the units are under warranty. Gas units often cost more than their electric counterparts but are less expensive to operate over time. 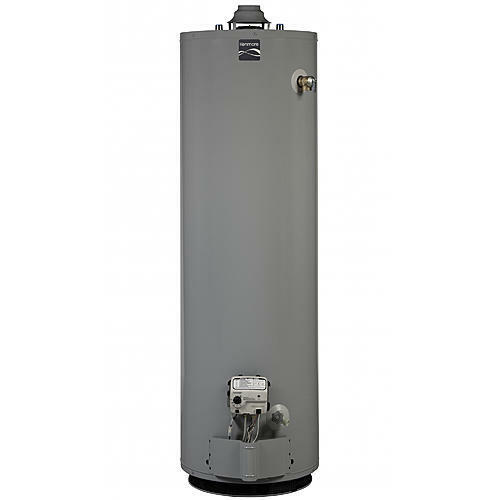 The Kenmore natural gas water heaters come in a variety of sizes and warranties. They are mostly made with the same parts but will vary slightly to accommodate the size of the heater and the price. The price of the 74-gallon tall model runs over $1000 at most retailers. In addition, you will need to consider the cost of installation, which can vary by area and contractor. Smaller sized models with less of a warranty will cost considerably less but will also only be guaranteed for the limited time on the warranty. Kenmore gas water heaters sized at 50-gallons will cost approximately $900 and 40-gallon units will be priced around $500. There are variable warranties to accommodate different budgets. Many of the Kenmore models are compatible with their new Smart Water Heater Module that can alert owners through their smart phones for problems occurring with the unit. This way, problems can be averted before they happen. This module also allows for controlling the unit through your phone to turn it on and off as needed. Gas powered hot water heaters can operate when there is no power. 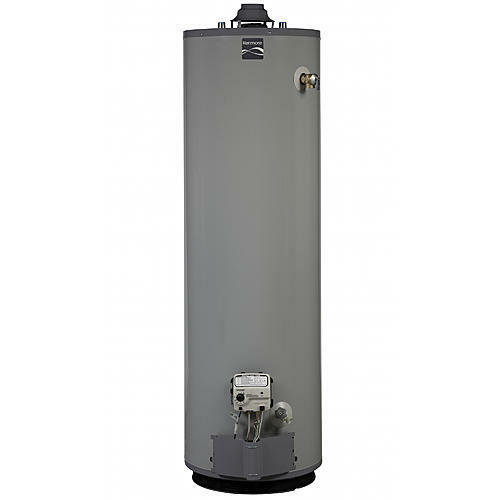 Natural gas water heaters tend to be more expensive than other water heaters. They come in a variety of different warranties including. An electric water heater runs fully on electric and vents out through a side wall rather than a chimney. These models are less expensive to purchase up-front but cost more over the lifetime of the unit than a gas power one. Here are the options for an electric Kenmore water heater. The electric water heaters do not come as large as the natural gas models. Therefore, the prices are generally lower than the gas models. Depending on the size, the price of the unit can run from $450 to $780. 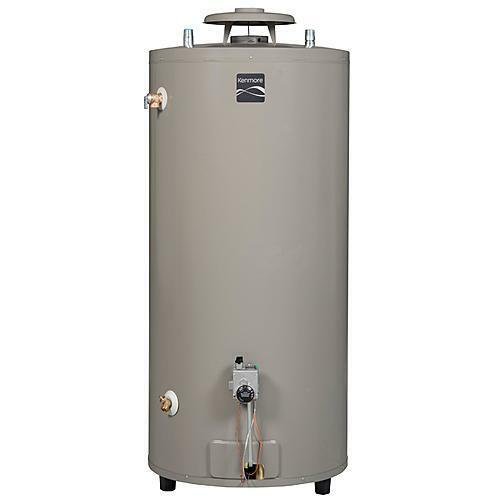 The cost of installation will again be in addition to price of the water heater itself. The electric models are also compatible with the Smart Water Heater Module. Electric water heaters are less expensive than other water heaters. The electric water heaters may cost more in electricity over time, and you will not have hot water if the electricity goes out. Liquid propane is an option when natural gas is not available in an area. Often, the propane tank is located on the side of the house or property. Mostly used in rural areas, a tanker truck periodically visits the house to refill the propane tank. There are slight variations between natural gas and propane. First, propane does not dissipate like natural gas. Also, propane has a cleaner burn than gas and is more environmentally friendly. Many natural gas models can be converted to propane. This is similar to a gas model but requires more air for combustion. There is only one unit that takes liquid propane. There are not as many models in liquid propane as there are for other models so the prices will not vary much. You may some find some price variation with discounts from different vendors. 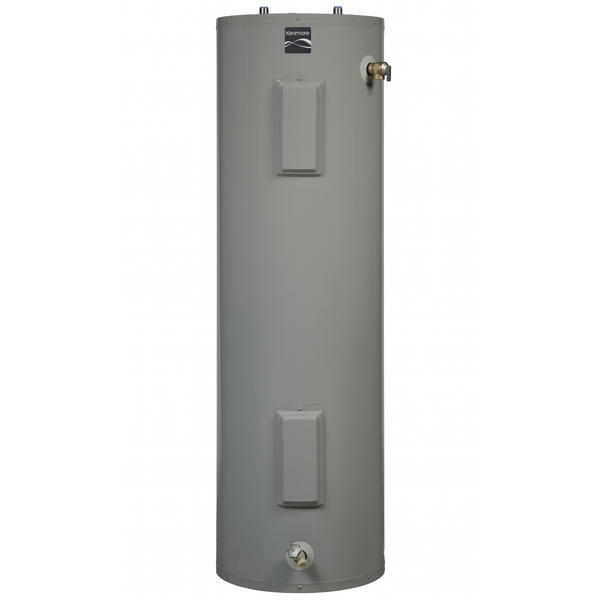 Liquid propane water heaters use much less energy than other types of fuel sources. If you must use a propane heater, that means that you may be limited in model types since the most common fuel source is gas or electricity. A hybrid water heater is capable of creating hot water using less electricity which makes it an energy star compliant model. 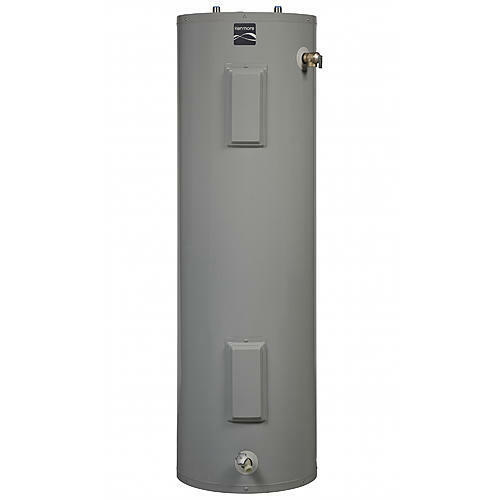 Kenmore has only one version of this water heater that absorbs the surrounding heat and transfers it to the water. The hybrid uses an electric heat pump and compressor technology to create hot water with less energy. The prices for the hybrid are much higher than other models. Different vendors may have slightly different pricing but they should all run around the same within $100. This unit should recoup the money output after the first two or three years of operation with an average household savings of $392 or a 71 percent drop in operating costs per year. If you compare this model to the similar electric model, this one saves you more money over time, is Energy Star compliant, and has a higher FHR. The longest warranty is only 10 years. Proper installation must be done for it to work correctly. The state of California enacted specific water heater requirements back in 2016, which include energy standards and requirements with which all new water heater installations must comply. There are several different options for installation, but all must comply with the Title 20 Appliance Efficiency Regulations. These are the two Kenmore water heater models that fit these regulations. 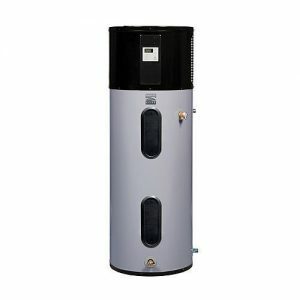 This is the same model that is listed above with the natural gas water heaters. However, it is rated for use in California and complies with its regulations. Due to the low capacity and low FHR, the better option may be the hybrid listed below. This is another model that is listed above but rated for use in California according to its strict environmental guidelines. This system has a refrigerant that pulls the heat from the surrounding air and transfers it to the water inside the tank. Combined with the heat pump, this unit uses much less energy than any standard unit. While there are many different brands on the market today, a Kenmore water heater will last at least the lifetime of the warranty. Many units may perform well beyond these measures. 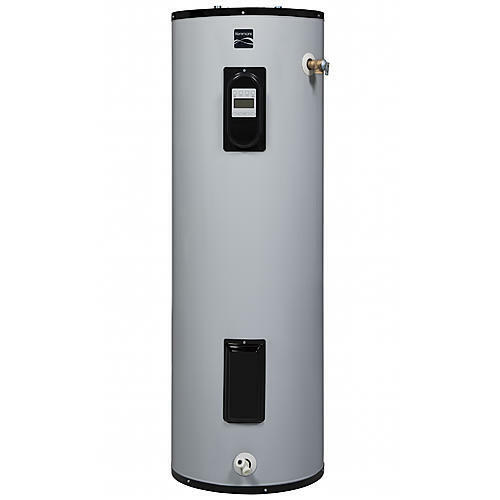 When deciding which water heater to purchase, you need to determine what kind of fuel you have in your house: electric, natural gas, or propane. Then you will have to determine the correct size based on the number of family members living in the house. Finally, you will need to decide how long of a warranty you want in the unit. If you will not be keeping the house long, you may want less of an investment with a model that has a shorter warranty. However, if you will be keeping the house or rental property for a long time, then you will want to get the maximum warranty that you can afford. Keep in mind that a newer model may be larger than your current model, even if it has the same capacity. The regulations regarding the amount of insulation around a tank have increased. 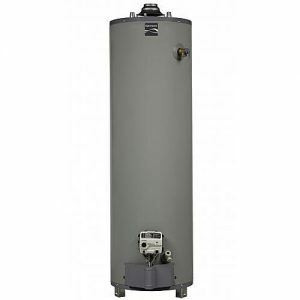 Therefore, a similar gallon water heater will be larger. Your professional water heater installer will help you choose the model that is right for your family.